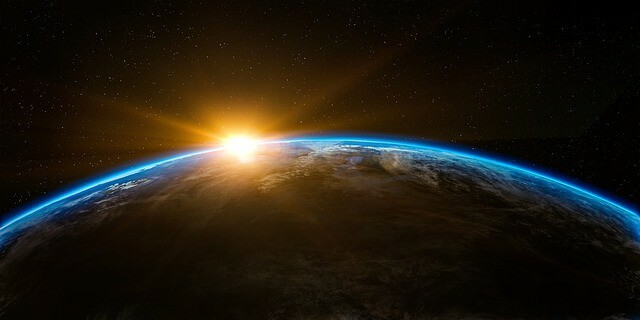 My whole life is driven by one simple quote from Albert Einstein, which is, “the most important decision any person can make is whether they live in a kind or hostile universe”… And if I live in a kind world, I will get what I deserve. So if I do great work, if I make a positive impact, if I give everything I got, I will be fine. No matter what happens. Technically, this quote is paraphrased and Einstein probably never said it, but Duran brings up an important point about a question you subconsciously answer every day—is the world kind or hostile? If you view the world as kind, you believe that, on average, good efforts and deeds are rewarded. But, if you view the world as hostile, you believe that what you do has little impact on your life and everything is up to chance. Your decision on this question can pervade every part of your life, from how you view your career to how you treat others in relationships. It also can show up in how you invest your money. What does this chart say to you? Does it say that most equity markets can make you rich? Or does it say that global stocks are unreliable? 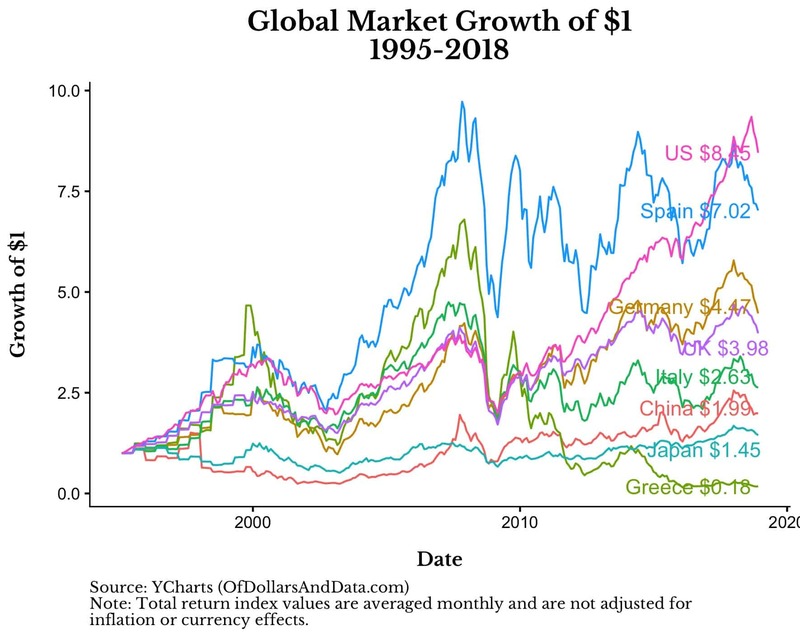 While the U.S. has done incredibly well (growing 8x) over this time period, countries like Greece and Japan have struggled in major ways. What does this tell you? 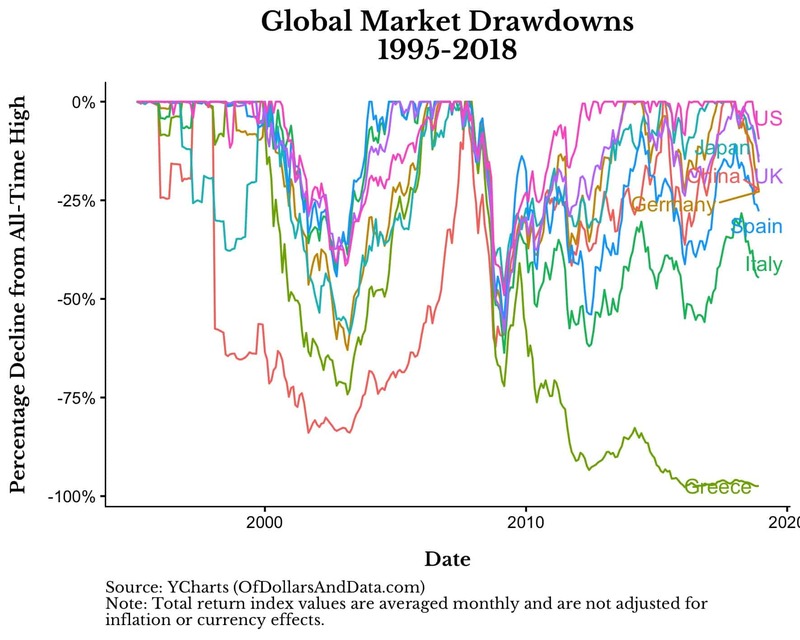 Most markets recover from their drawdowns? Or, markets can decline to near zero (i.e. Greece)? Both of these statements are technically true, but what you notice and how you react to this information is telling of your underlying beliefs. Do you see the stock market as a builder of wealth, or a destroyer of wealth? Are you long term bullish, or long term bearish? With the S&P 500 currently down ~20% and many other global indices in worse shape, what kind of investment world do you think we live in? You might think this question is trivial, but it’s not. It is THE question. If you believe in the “kindness” of long term equity investments, then this 20% decline should be no big deal. This is par for the course. However, if you believe that equities haven’t been reliable (or no longer will be reliable) for wealth building, then you are probably panicking right now. 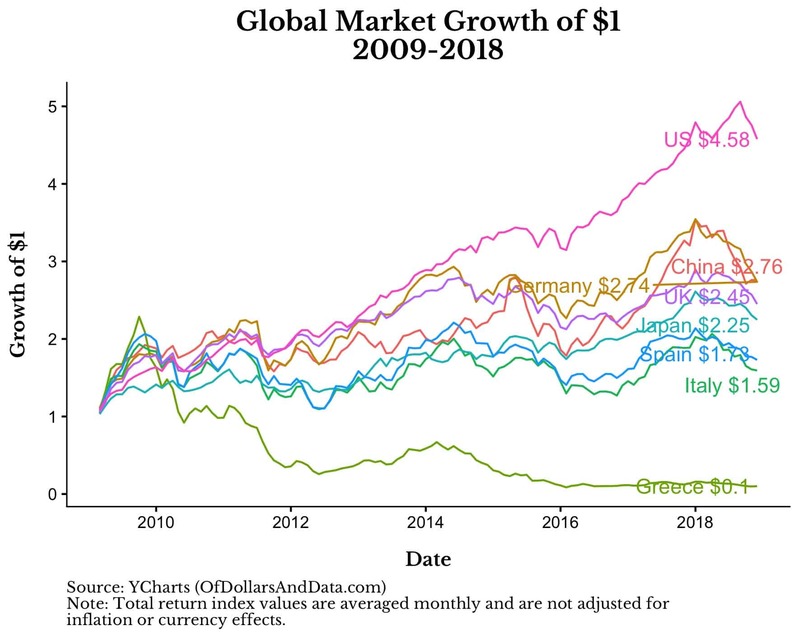 Over this time period, China and Spain look to have somewhat similar performance (like most other developed markets) with only the U.S. and Greece as the major outliers. As you can see, you can build whatever reality you want for yourself. If you want to find someone who will tell you that markets are going to hell, don’t worry you will find them. If you want to find someone who thinks the opposite, you can find them too. Your beliefs are the primary determinant. Many people, particularly Marxists, have viewed American journalism as controlled by rich people or corporations with the goal of influencing the masses, perhaps to push people toward their political views. Gentzkow and Shapiro’s paper suggests, however, that this is not the predominant motivation owners. The owners of the American press, instead, are primarily giving the masses what they want so that the owners can become even richer…There is no grand conspiracy. There is just capitalism. Stephens-Davidowitz’s conclusion suggests that you are the gatekeeper to your own mind. You decide what comes in. You decide what sticks. So whether you see the universe as kind or hostile, this belief will flow through your entire belief system and affect all the others. When you choose between kindness and hostility, choose wisely. With 2018 drawing down (pun intended) and 2019 just upon us, consider your beliefs in 2018. Was the universe kind or hostile to you? Did you get lucky (or unlucky) in any way? Is there anything you should change in 2019? I know how frustrating it can be to hear advice like “change your beliefs” or “change your mindset,” because these arguments are not evidence-based or data-driven, but I know they can work. Two years ago I started this blog anonymously and I had little confidence in my writing abilities. But, I told myself that if I kept at it, things would work out. Thankfully, they did. Of course this could just be survivorship bias on my part. Maybe how I viewed the world wouldn’t have mattered at all for this blog to be successful. I can’t re-run the world to test this. I can’t prove my argument here, but I believe it. The one thing I know with certainty is that if you keep working at something, you will get better. Your abilities build on themselves. Day in. Day out. As Einstein once said, “The most powerful force in the world is compound interest.” If that’s not the kindest gift the universe could provide, I don’t know what is. To all the readers of Of Dollars And Data, enjoy the rest of your 2018 and have a happy and prosperous 2019! Thank you for reading.